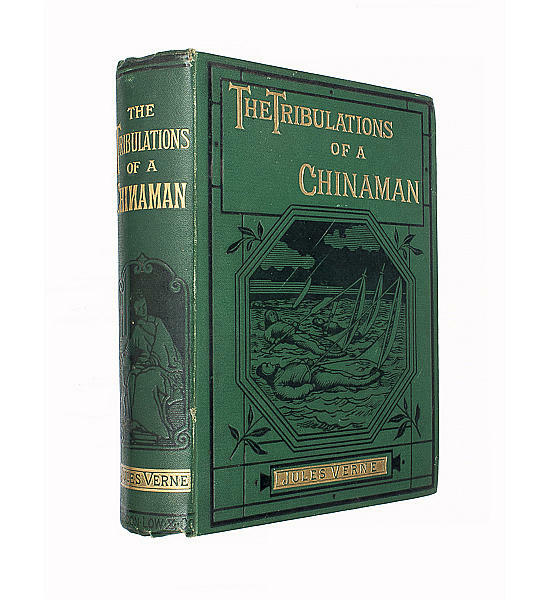 The Tribulations of a Chinaman. Half title with ad. on verso, front. (&apos;Comely girls did the waiting&apos;), plates. Orig. dark green cloth, spine & front board lettered in gilt & pictorially blocked in black; v. sl. wear to extremities, otherwise v.g. 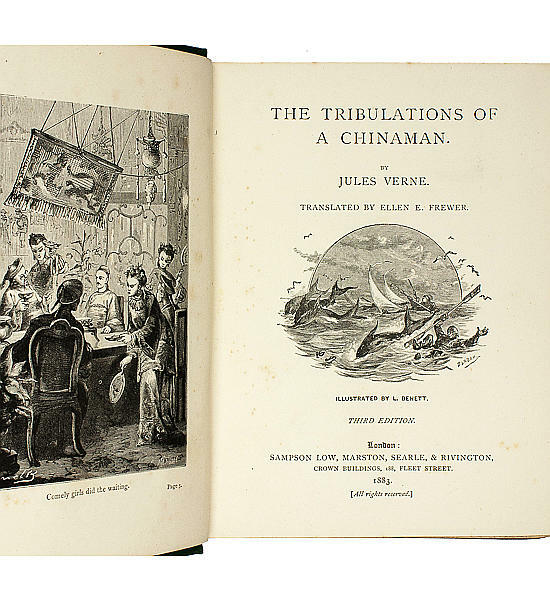 ¶Les Tribulations d&apos;un Chinois en Chine, 1879. First English edition, 1880. JVE V020; Myers 55.